Saddle up! 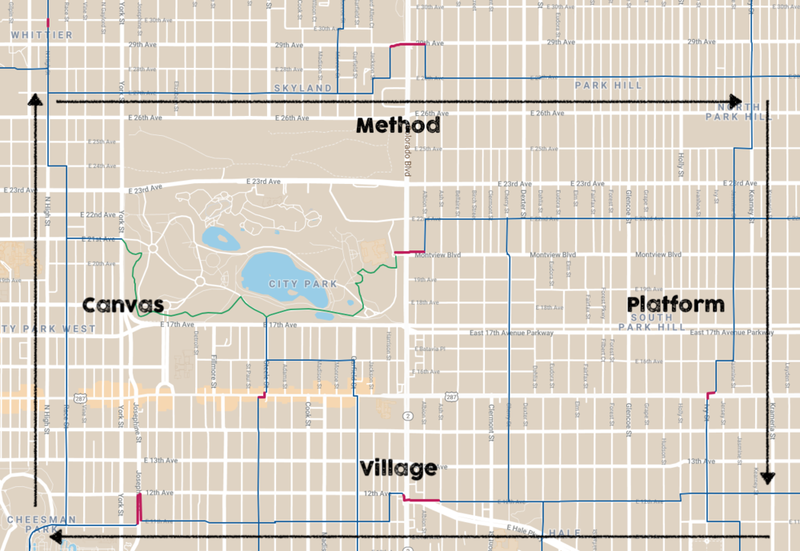 The first adventure loop will take you to Cheeseman, City Park West, Whittier, Skyland, Park Hill, Hale, and Congress Park on the Bike Streets routes we call Canvas, Method, Platform, and Village. Be sure to track your ride with the Bike Streets Online Club to be eligible for prizes. Get the interactive Bike Streets Map here.